Proposal in our Northgate store! We are fortunate in our business to get to play a part in people’s special moments. Usually we just get to witness the before and after: the selection of the ring followed by a chance to meet the recipient and admire the new treasure. In this case, associates in our store played host to the actual proposal! 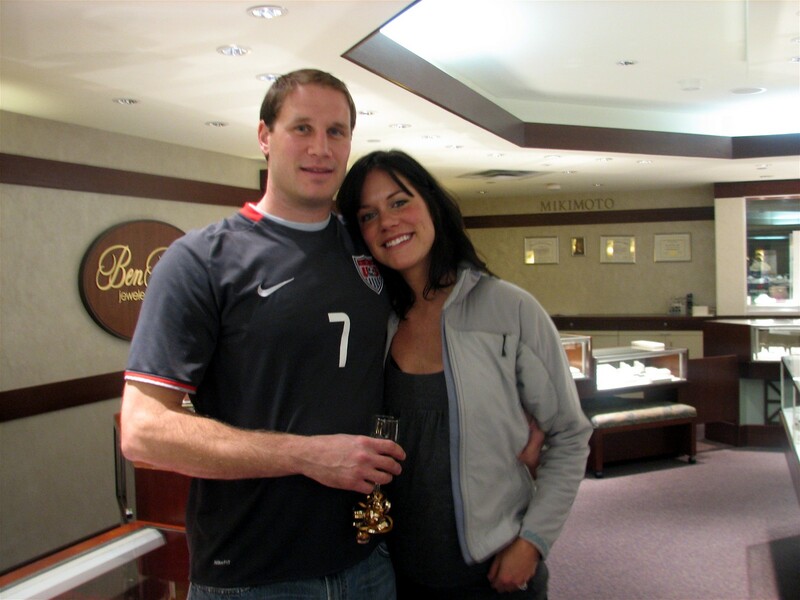 Sean Schwender & Allison Holm came into our Northgate store looking for an engagement ring. Allison wanted an Aquamarine center instead of a diamond. I let her know I believed she should have the ring she wants and talked with them about the characteristics and care of the stone considering she would be wearing it daily. They told me that everywhere else they had shopped told them “no” to an engagement ring with an Aquamarine. I brought in three different Aquamarine stones for them to see. Once they decided on the stone we went about the task of designing a custom platinum mounting with the Aquamarine center and VS side diamonds. We put the estimate together and they said everything was perfect! 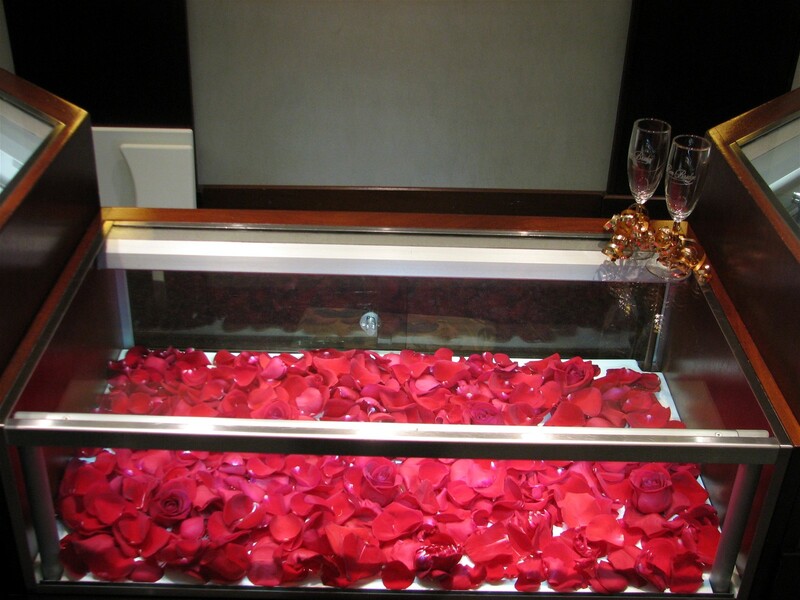 Brianna brought in red rose petals which we scattered in one of the cases. That evening, Sean took Allison to dinner at a restaurant here in the mall near our store. As they left the restaurant, he said to her “let’s go by and see Jill at Ben Bridge”. She was very hesitant, embarrassed that they had put me though all the work for the ring and then did not buy it. But Sean finally talked her into it. It was just before closing and the store was empty. 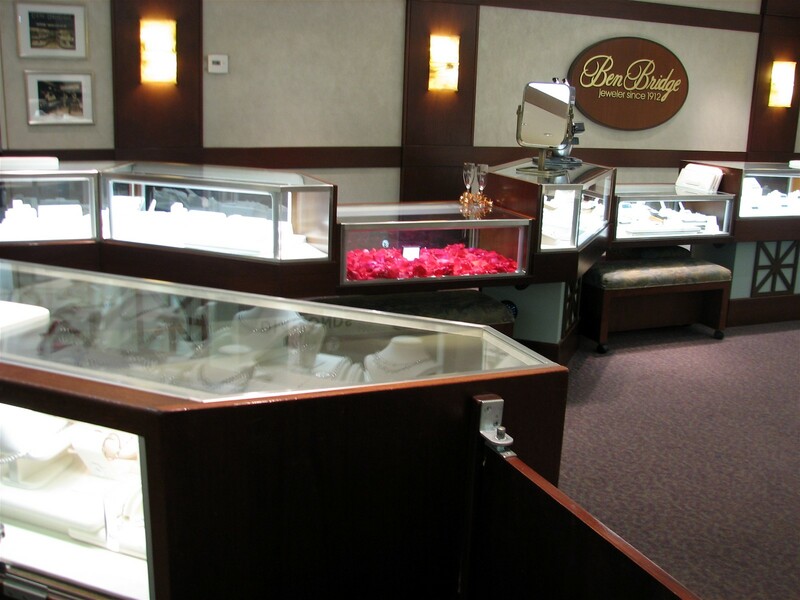 As they entered the store, we dimmed the lights and Sean walked Allison over to the case with the red rose petals and an open, empty ring box in the center. He said to me, “Jill, where is the ring for that box?” And I replied, as planned, “well Sean, check your pockets!” He brought the ring out, turned to Allison and went down on one knee and asked her to be his wife and share his life…” It was so amazing! She was teary eyed with joy and we all sipped sparkling cider in champagne glasses which Brianna had also provided. 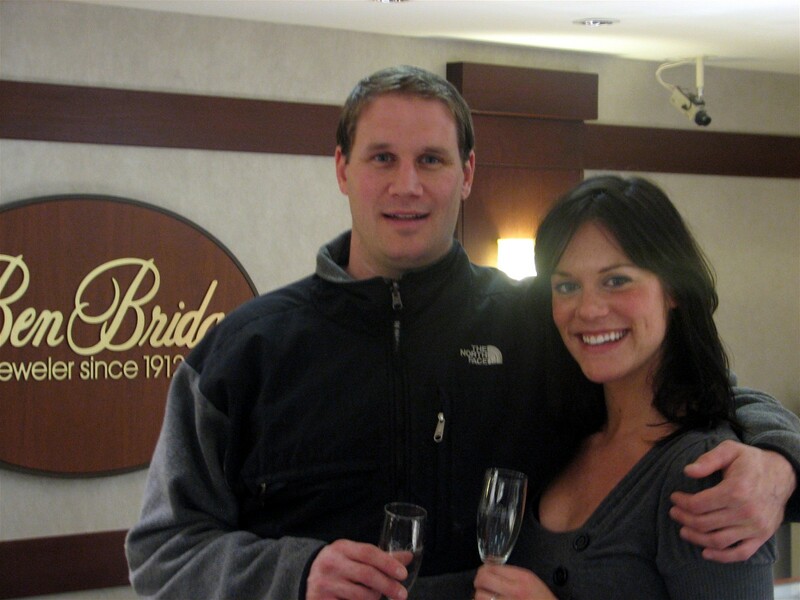 We are honored to have been a part of your engagement! You are currently browsing the archives for the Bridal category.